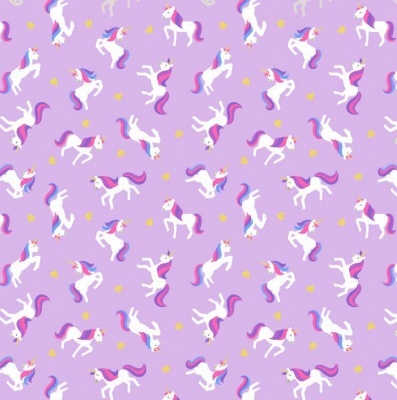 All over little unicorns design on a lavender background with metallic details, 100% cotton from the Lewis & Irene, Small Things … Mystical and Magical cotton collection. 110cm / 44" Width, this fabric weighs approximately 150gsm. Multiples of a size will be cut as one piece unless requested otherwise. Thank you to all at Roof Top Fabrics for a great service. I will certainly purchase again.